WE OFFER EARLY MORNING CHIROPRACTIC OFFICE HOURS! We are so anxious to help, we begin seeing patients three days at 5:45am. We have coffee too! It is helpful if you call or email first, however, if you are in pain, in the area and would like to stop by during chiropractic hours we will do our best to accommodate. Dr. Moramarco is usually in office all day, everyday. 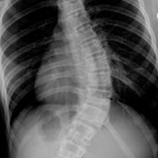 When not providing chiropractic care, he is offering his conservative scoliosis treatment program and bracing. So call and leave a message and we’ll get back to you. When you are our patient, we are available to answer your questions every step of the way – during office hours and after. You’ve come to the right place and your care is our highest priority!